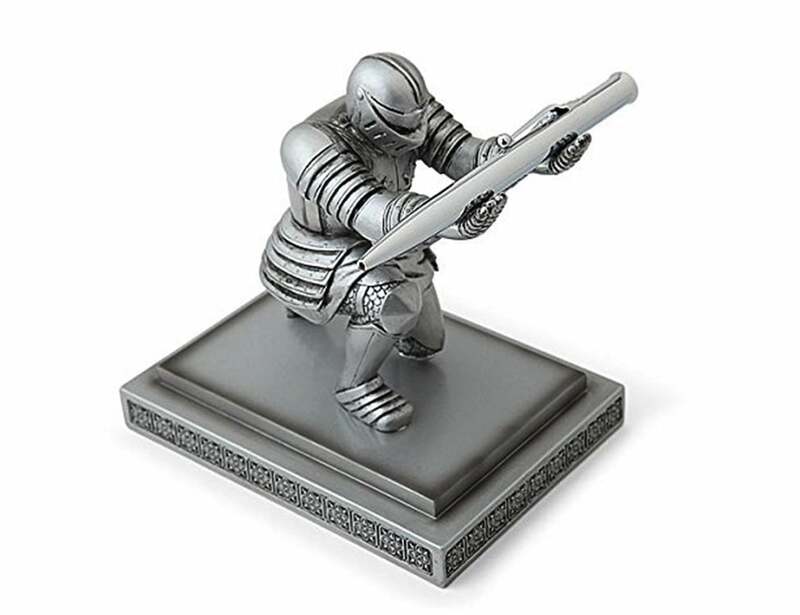 Use a knight to hold your pen with the ThinkGeek Executive Knight Pen Holder, so you always know where it is. 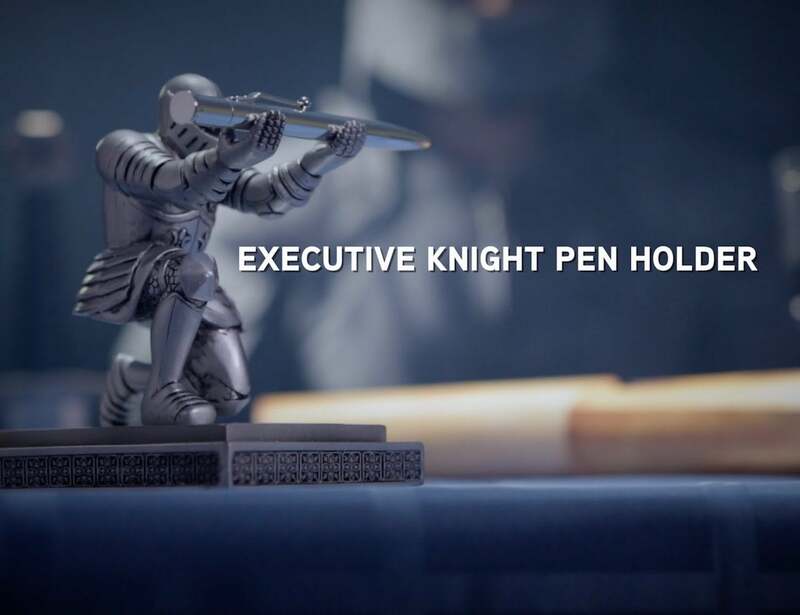 Use a knight to hold your pen with the ThinkGeek Executive Knight Pen Holder. 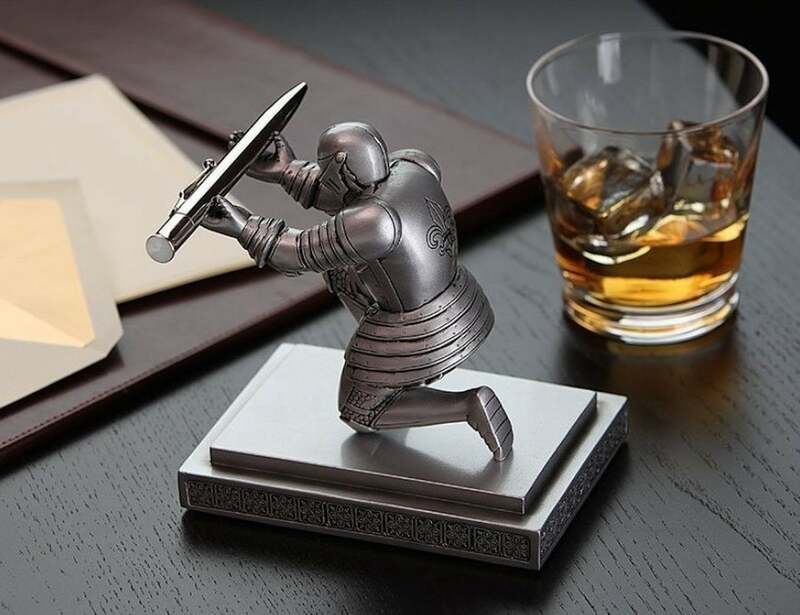 This unique pen holder features a bowing knight that keeps your pen aloft, so you always know where it is. 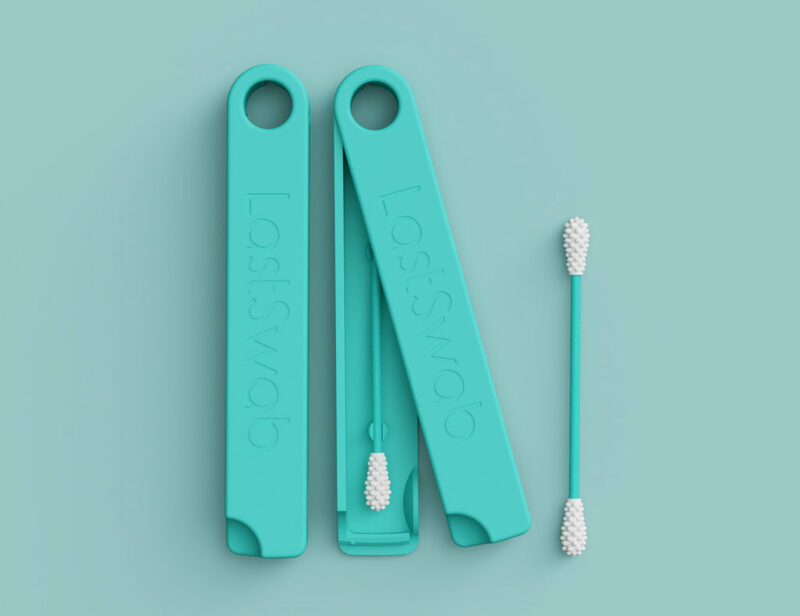 Instead of wasting time searching for something to write with, the knight never fails to bows to you with a writing tool. Likewise, when you are done using the pen, just place it on the holder for next time. 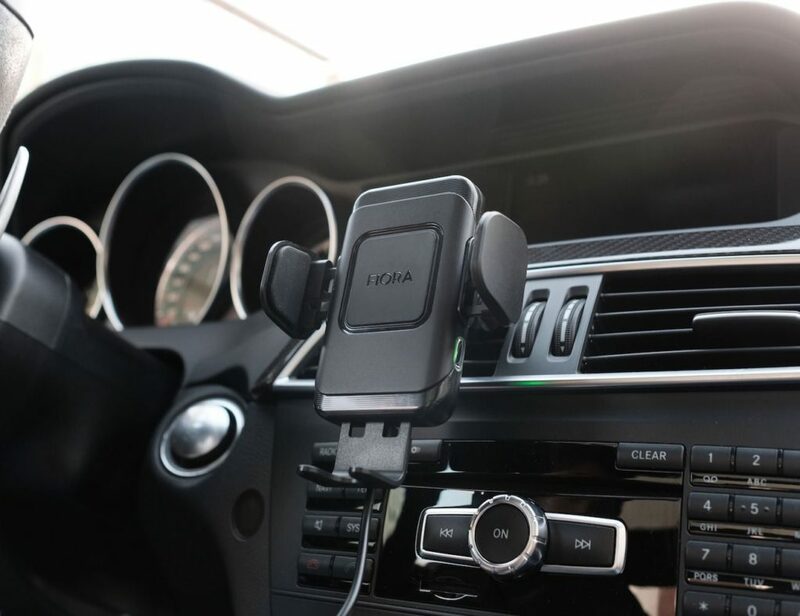 Additionally, the pen holder comes with a metal pen that has black ink. 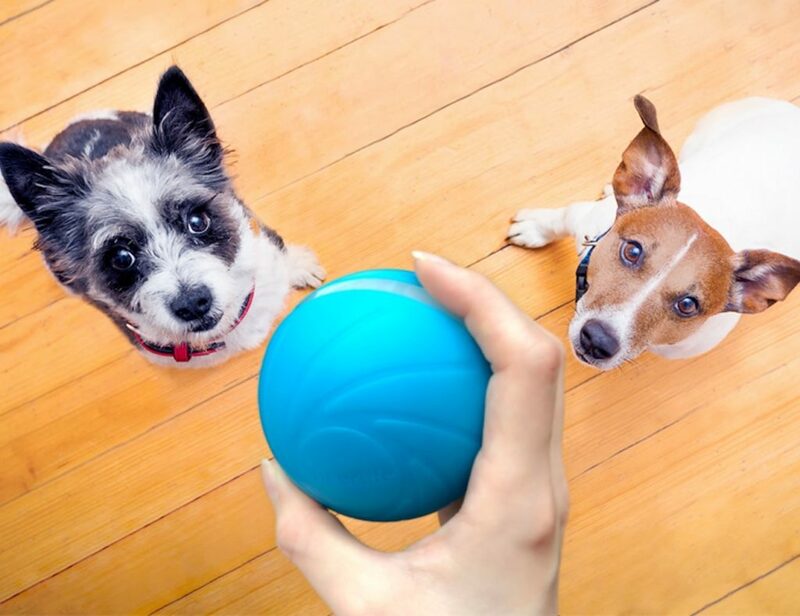 It is also refillable and accepts Cross Standard Ballpoint Pen Refills or similar refills. 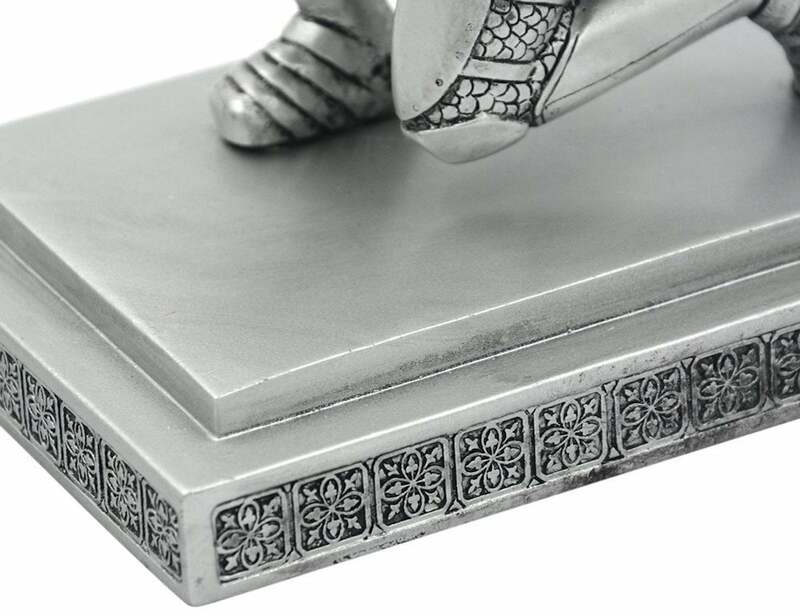 However, the knight easily holds any other pen, pencil, letter opener and more. 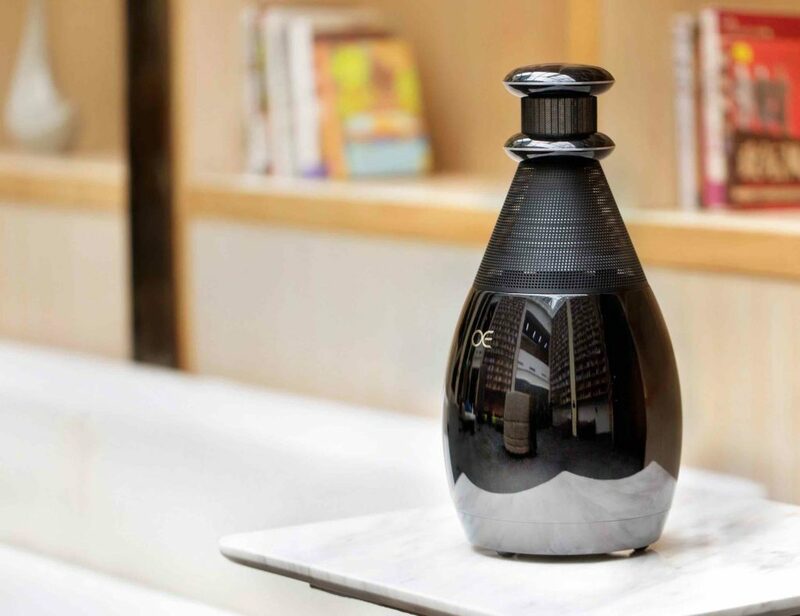 Made from resin, the knight adds a unique and creative element to any workspace.